It pretty much goes without saying that online reviews are essential to businesses. What you may not know is that online reviews carry so much weight in your industry. In the Local Consumer Review Survey, Doctors and Dentists were listed second when it came to how much “Reputation” matters in online reviews. Of course, just having reviews won't make your business better, it's what you do with them that counts. To improve your business through reviews, start at the beginning. Ensure that you are actually getting reviews! Your first step is to take control of your social presence on review sites. Check out your listings on Yelp!, Google+, City Search, Merchant Circle, and any other review site that comes to mind. Once you've taken control of your listings, ask for reviews! This is honestly the best way to get organic and positive reviews. If you have a happy client, customer, or patient, use the opportunity in front of you! If you have negative comments, respond to all of them. Be honest and tactful. 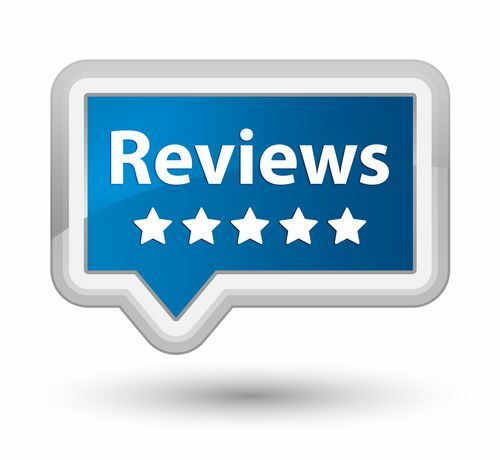 If you don’t already know how, we have an excellent guide for getting online reviews. Online reviews are useful to you not only for search engine rankings, referrals, and trust, but they are (or should be) the spring board for improvement. Your close friends and family will not be honest with you the way anonymous reviewers will be. They are the best source for constructive criticism you can find. Even “bad” reviews can be beneficial when they are the exception, and not the rule. Negative reviews can add credibility to your positive reviews, and if you respond to it (which you ALWAYS should) it shows consumers that you actually care about what they have to say. By responding, you are showing past, current, and potential customers that you are listening, and that you intend to improve your services. In fact, 95% of unhappy customers will return to your business if an issue is resolved quickly and efficiently. Communicate with your clients. Creating a dialog with your audience is a critical, and often overlooked, first step. No one wants to be ignored, especially if they are paying for a service. Respond to your reviews, and be empathetic. Reevaluate your process. If someone posts a review, don't just respond— reevaluate. Consider the circumstances that caused this reaction, and how can ensure that it won't be an issue in the future. One of the more frequent complaints we see when it comes to a medical practice is the wait time. While there may be no way to avoid this, reevaluating your process could shed light on a step that is slowing your office down. Trust, but verify. Our COO, Buster Tate, is famous around here for frequently borrowing Ronald Reagan's famous quote, "trust, but verify." In fact, it has become so infectious that we use this practice in everything we do. If you see a complaint about an unfriendly experience with customer service, call your office anonymously, and see if you can pin point the issue. This "secret shopping" should apply to all areas of your practice— even yourself! Otherwise, you will see these reviews posted online. This is what places you above your competition. There are millions of doctors, lawyers, and business owners in the world. Be special! By listening to what your clients and customers are saying, and taking the appropriate actions, you are creating an invaluable service: being the best.